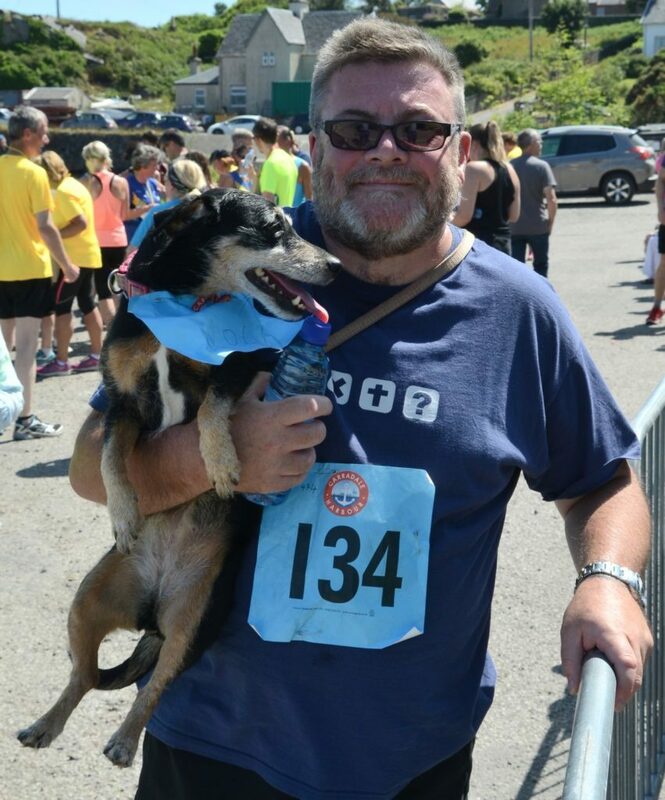 In last Sunday’s race, ‘Lola,’ (00:53:16) a Manchester terrier from Maghull, Liverpool became the first official dog, complete with race number, to finish the Carradale Canter. Carradale Canter’s initiative in using compostable cups even at greater cost should be applauded. Organiser Alan Milstead said: ‘The weather was great and we sold all the burgers we could. Inverclyde athlete lifts Carradale Canter crown.